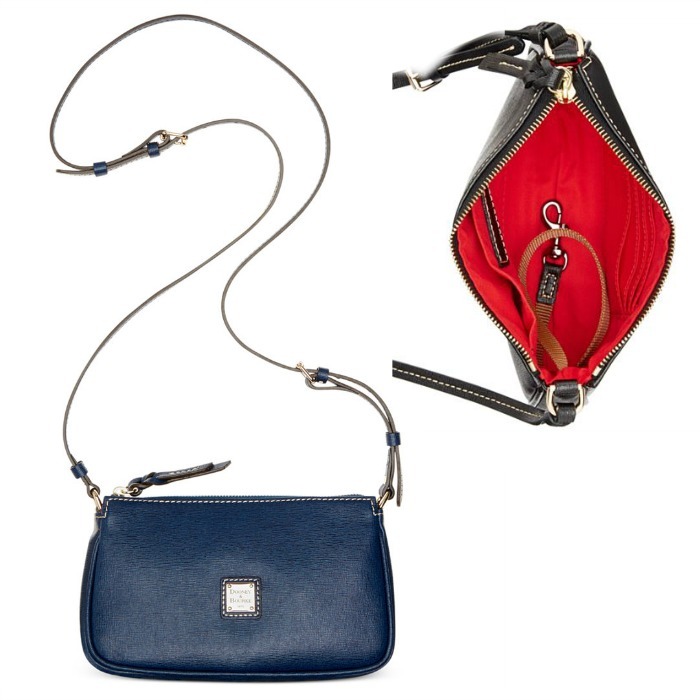 Dooney & Bourke Saffiano Lexi Crossbody Only $58.80! Down From $98! You are here: Home / Great Deals / Dooney & Bourke Saffiano Lexi Crossbody Only $58.80! Down From $98! Macy’s has this Dooney & Bourke Saffiano Lexi Crossbody on sale for $73.50 (Reg. $98) but you can get if for just $58.80 when you use promo code PRES (20% off) at checkout! Busy days deserve easygoing yet elegant style, like this classic crossbody by Dooney & Bourke. Turned out in durable Saffiano leather, the adjustable strap offers a custom fit.